Born Thirty Years Too Soon | The McKeen Motor Car Website Born Thirty Years Too Soon | The Compendium of Knowledge on the McKeen Motor Car Company, and their experiments. A new era in American railroading was begun by that mysterious activity in the north end of the UP erecting shops at Omaha early in 1905. But the man who instigated it, W. R. McKeen, Jr., then superintendent of motive power and machinery for the UP was, in the popular phrase, “born 30 years too soon”. Parts clearly not meant for a locomotive were gathered together- forgings, machined parts, an inverted boat from the car shop. The area was roped off and the guessing contest was on. A switcher brought in a boxcar from which workmen unloaded a 100 hp. gasoline engine, built by the Standard Motor Works of Jersey City, N. J. It was a marine type engine, one of the most powerful of that early day of gasoline power. Indeed, five years earlier marine engine power had been used to move another pioneer streamliner, the first Zeppelin. When the engine was assembled and mounted on one 4-wheeled truck, the body attached, and the resulting vehicle sent to the paint shop for a coat of maroon, a new era in railroad transportation had begun-30 years too soon. This was the Union Pacific’s Motor Car 1, 4-wheeled wooden predecessor of the line of distinctive McKeen Motor Cars which in the following years served many branch and shortline railroads. The construction of this pioneer rail streamliner has been preserved by Floyd Schultz, later mechanic on the “Red Flash”, in a full page article in the Times of Clay Center, Kans., for Mar. 28, 1935, coincident with the first of the present breed of UP streamliners. A contemporary account in Railroad Gazette is more formal. Motor Car 1 was only 31 feet over sills, and had four 42- inch wheels. Only the front pair was powered. All subsequent McKeen cars used 42-inch drivers, but 33-inch trailing wheels were adopted. Yes, the novel shape was an inverted boat; it was inspired by the racing yacht Reliance. The sharp prow was to cleave the air and permit high speeds, while the rounded rear was to prevent the vacuum present at the rear of square ended cars. In a speech, years later, McKeen attributed the shape of his cars to a study of the Berlin-Zossen and Louisiana Purchase Exposition electric railway speed tests. It is interesting to note that these same tests of car body shapes at speed were also instrumental in shaping the famous windsplitter interurban cars of the Winona Ry. and Indiana Union Traction. But, as the author of a C.E.R.A. monograph on the Union Traction points out, the pointed front and rounded rear car is theoretically capable of higher speeds in reverse, according to modern knowledge of streamlining. Railroad Gazette, undoubtedly quoting an official release, said that the ventilation on Motor Car 1, accomplished with Cottler ventilators, was exceptionally good. Mr. McKeen claimed to have had air-conditioned cars as early as 1904-which may, have been similar to the round windowed, center doored, all steel UP coach of 1907. This had ventilation via the “horns” on the corners. It represents a true McKeen passenger trailer, the shorter versions on the UP and SP being in reality motor cars with front ends removed. Although the body of the first McKeen car was wooden, it was watertight and could be flushed out with a hose. The lighting was by acetylene gas from fixtures placed between the windows, above the passengers’ shoulder level. That this system was not without hazard is attested by Floyd Schultz’s story of the first M4 at Grand Island, Nebr. Schultz was standing outside the engine room talking with mechanic, later motorman, P. F. Bischeld who had just repaired the acetylene system and lit the car lights. Bischeld walked around to the front of the car and struck a match to light the headlight, which was in the standard position, low on the prow. Unfortunately a defective angle in the acetylene line had let the whole nose of the car between inner and outer walls fill with the explosive gas. The match touched this off, blowing out the top of the engine room and breaking all the glass in the front end of the car which fortunately passed over the heads of the stunned mechanic and engineer. Later cars were equipped with electric lighting from batteries charged by a generator connected to the engine by a Morse silent chain-when the chain would stay in place. Others were illuminated by gasoline, with the carburetor in a box under the rear of the car. This system was charged with air at 40 pounds pressure and was also subject to failure. In later years the UP and other roads installed Kohler car lighting systems with success: closing any electric circuit on the car started a generator which ran until current was no longer required. The heating system of the M-l and subsequent McKeen cars was by hot water from the motor cooling system. Excess heat was also exchanged by means of radiators under the car and in a few cases, on the roof. One try was made at heating the first car by running the exhaust pipe around inside the passenger compartment, but this failed because there was too much back pressure on the motor. While the use of the motor cooling water to heat the car was a success in moderate climates, it was, of course, useless after the car had laid over all night in sub-freezing weather. For this reason, an old fashioned stove was also installed. Later UP installed hot water heating systems with small boilers in the baggage compartments. In July, 1905, Railroad Gazette gave a floor plan of the M-1 and further details. The cylinders were eight-by-ten inches, six in number, placed upright and across the car. Later cars had ten-by-twelve and even larger cylinders. The article gives an itinerary of successful runs of the novel car to Portland, Ore., where it was to have been placed in service. “It should be stated that the car has required but slight running repairs and has not been out of commission since starting its journey. Mechanic Schultz casts doubt on this statement by saying that the best grapevine information available was that Motor Car 1 was pushed and pulled by freight trains into more than one terminal. Yet a report would always be sent to Omaha, “Motor Car 1 arrived on own power doing fine! The M1 was not placed in service out of Portland, but was assigned instead to the Kearney and Callaway, Nebr. branch where for years it alternated with the 8-wheeled M2. What with the hazards of the wooden body, the hot motor and the acetylene gas, the M1 finally burned while on the employees run between Omaha and Council Bluffs. It was then rebuilt with a box type body, square all around, and continued in employees’ service. No photos of this second incarnation are known to exist. Motor Car 2 caught fire on the Callaway branch, and was scrapped. M3 ran on the Southern Pacific Lines in Texas and then was returned to Omaha and not used again. M4 ran on the Chicago & Alton and was even lettered for that road. But it was returned to the UP and ran on the K and C and Loup City branches. After the acetylene explosion she was rebuilt and run until worn out. The first M4 was a 55-footcar, but the second M4, built years later, was a 70-footer. M5 of the UP was used for a while west of Salt Lake City on the old San Pedro, Los Angeles & Salt Lake, then returned to Grand Island for service on the Callaway and Loup City branches. M6 was also used on branches in Nebraska. M7 was the first McKeen Motor Car with the famous round windows which increased the resemblance to the “racing yacht Reliance inverted”. It was also the first car with the distinctive depressed center doors. The M7 made an extensive tour through the east before being placed in road service. Regarding the famous round windows, the 1912 (and only) McKeen catalog says: “airtight, water-tight and dustproof, three features not heretofore attained in a single car window. The frame is made of aluminum. The sash 24.75 inches in diameter is hinged at the top and when raised is automatically locked to the car ceiling, thus giving a full window opening. The effect produced with all windows open being that of a summer car, this convertible feature is immensely appreciated by the public. By means of the round windows a panoramic view of the surrounding country is obtained-an innovation impossible of attainment with the old -fashioned square windows. An important advantage obtained by the use of the round window is the enormous gain in strength of car framing which permits the utilization of the car side as a combination plate, and truss girder. Notwithstanding, McKeen cars were also available with square windows having rounded transoms. The company also offered a choice of straight or parabolic wedge noses. The UP M8 was the first car with a McKeen engine, rated at 200 hp. The engine was always mounted as an integral part of the motor truck and swung with the truck on curves. Only the front wheels, the 42-inch drivers, were powered via a Morse silent chain drive through an air operated clutch. There were two speeds in each direction. The M9, although begun before the M8, was delayed by late arrival of a 150 hp Sament engine. The M9 had square windows. By 1907, according to Railroad Gazette, the Union Pacific operated McKeen Motor Cars in Nebraska on the Kearney- Callaway branch; Beatrice Lincoln branch; Loup City-St. Paul branch; and in Kansas on the Lawrence-Leavenworth line. Twenty-two more cars were said to he under construction, the first of which was tested by Mr. McKeen, himself, who always supervised the breaking in of his cars. This car, the M10, first car with an electric generator and with the motorman’s door on the left, backed up a 1/2 of 1 percent grade with ten empty freight cars coupled to her nose, switching them back and forth. Again she nosed a 40-ton gondola of coal up a 7.6 percent coal chute incline. The motor cars were not meant for such rugged service and only accomplished these deeds by the liberal use of sand and savvy, and in the case of the coal chute, by making a run for it. Great pulling power was never the forte of McKeen cars, one good reason being that only two of eight wheels were powered. Felix Reifschneider, author of several books on electric lines, states that the, Central New York Southern (Ithaca-Auburn Short Line) had two McKeens which could make the road’s 3 percent ruling grade in high gear, but too slowly for the passengers. One trailer was all that most cars could manage and some “poor steamers” couldn’t even do that. The mysterious “double trouble” twin motored McKeen car, which was equipped with two 300 hp engines once pulled-it is said-twenty freight cars. But in 1940 this car was operating out of Columbus, Nebr. with only one trailer. The story I hear is that in 1941 somebody started the car’s two motors in opposite directions and let in the clutches. Well, we needed scrap in those days anyhow. Further particulars of this ear are lacking. 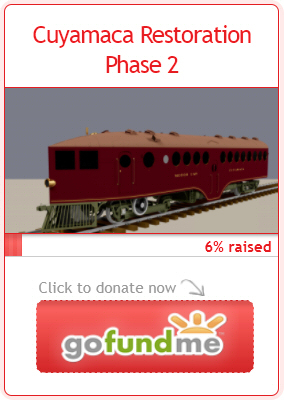 Again there was a story of two McKeen cars double-heading a five-car passenger train. This turned out to be the regular run of a McKeen motor car that had been rebuilt with gas-electric drive, four wheels powered. It normally pulled two coaches, but this day a standard McKeen car was headed for the shops and was coupled into the train along with a few more shop bound coaches. It must have been an interesting sight. So must the solid train of seven McKeen cars sent out from Omaha to the Southern Pacific-said to be the first all-steel passenger train west of the Mississippi. Subsequent motor cars for the UP, were not particularly noteworthy until the M21, which was the first 70-foot car. M23 and M24 were the first 300 hp cars, meant for pulling passenger trailers. Although begun early in 1913, they were mothballed and not completed until a later date. The growing demand for McKeen Cars led in July 1908 to the formation of the .McKeen Motor Car Company. Mr. McKeen, the inventor of the cars, resigned his position as superintendent of motive power and machinery of the UP to become head of the new concern. The new company took over the old Union Pacific shops at Omaha with the blessing of E. H. Harriman. The company was a subsidiary of the UP which owned over half the stock, the remainder being divided among Mr. McKeen and his associates. Capitalization was a million dollars. Employees were paid by UP checks. Railway Age Gazette in a contemporary article described the cars and their McKeen motors, which, were for the most part rated at 200 hp and 350 rpm. Power was transmitted to the wheels with a 5-inch Morse silent chain drive and an air-operated clutch, giving the remarkable transmission efficiency of 96 percent. The engine was reversible and could drive the car at 60 mph. Although there have been reports of speeds up to 75 mph. the top speed was usually around fifty. In fact, one ex-McKeen motorman told me that while operating No. 1000 on the Chicago Great Western, he could not make 60, even on a downgrade! The air pump was driven by the crankshaft and was located on the right side where, in photos, it may be seen projecting in front of the chain housing. The housed chain drove the water pump. A great deal was always made of the strength of McKeen Motor Cars, which, except for the M 1, were made of steel, a unique feature in the first decades of the century. Mr. McKeen also pioneered in building an all-steel boxcar. The McKeen catalog of 1912 shows two cars that met in a head-on collision at a combined speed of 80 mph. While the front ends were well stove in, the passenger compartments were not reduced to the customary kindling of wooden car days. To start a McKeen motor, you shifted the cam shaft to convert three of the six cylinders into a 2-cycle air engine. After compressed air had done its work, the engine was switched to gasoline. The cost of operation was reported as 14 to 18 cents per car mile. Mileage, even with those big cylinders, was three to the gallon. Later, carburetors were redesigned to use kerosene as fuel after the motors had been started on air and nursed on gasoline. Kerosene operation, while a technical success was a practical failure. Most motors were reconverted to gasoline or petroleum distillate. To reverse a McKeen car, the motor had to be stopped, then restarted in the other direction after shifting the cam shaft. Although a skilled motorman could accomplish this by throwing in the clutch, he would also use considerable brainwork to avoid reversing. For instance, on the Virginia & Truckee, Carson station is on a slight grade. Coming in from Minden, the motorman would leave the station headed for Reno. This was just to break the ice, for he would then throw her out of gear and coast backward down through the yards to gas up with his 30 gallons for the daily 90 miles. Later he would roll out of the car shed backwards and proceed under forward power up to the station. Occasional failure of any of these reverse coasting movements was the cause of much Washoe profanity. Compressed air starting was not 100 percent reliable at first. Schultz tells how the M1 sometimes would use up all the air and still not start. Sometimes it had to be shoved by a steam switcher. Another time they hitched a team of horses to the M1 to haul her around until she started-and did, and bowled over the horses! A motorman in the Northwest had one shot of air left after repeated failures to start his car. He primed the cylinders with ether and blew the exhaust pipe off! The pipe stayed on the station platform for many a month because, as he put it, “she sounds so good with the muffler off”. In later days the cars were equipped with an auxiliary air pump designed by Mr. McKeen. This was a one-cylinder gas engine in which the one piston also served to compress the air on the down stroke. At the time of formation of the company, 55- and 70-foot cars were available with various combinations of passenger, smoker, mail and baggage compartments, with seating capacities up to 105. They also made a 55-foot freight motor car, a 31-foot mail-baggage trailer, switching locomotives for industrial plants, gasoline engines and air compressors. Although prices are not given, Beebe and Clegg’s book on the Virginia & Truckee gives the cost of that road’s McKeen car, No. 22, delivered in May 1910, as $24,000. There are many freaks in McKeeniana which are of special interest. In fact, after examining these freaks, I am ready to believe that almost anything was possible. The 55-foot freight motor car mentioned above was built for the Minneapolis & Anoka Gasoline Motor Ry., and was called a convertible car. There were square windows at intervals and an open back platform so that the car could be used for passengers by merely installing folding chairs. There was a concreting car for the Clinchfield, a self-propelled car to carry materials and mix concrete to line tunnels along the route. Although the McKeen company built this odd chariot, it is recognizable only by the power truck with the characteristic large and small wheels. Another interesting vehicle was the McKeen wood burner for railroad use. There was a McKeen bus built in 1915 for highway service between Minneapolis and St. Paul. This was instantly recognizable as a McKeen product by the rounded rear, the portholes, the depressed side door. The front end had a conventional hood and windshield. $5000 was the price, according to Engineering News. The company planned a similar bus with flanged wheels for rail service for $8000, but I am unable to find any evidence that one of these was built. Other cars were built for export. Two went to the Victorian Rys. in Australia equipped with buffers and to accommodate the universal high platforms of that state, with center doors “depressed” up into the roof. Three narrow gage cars went to Queensland, equipped with 4wheel drive motor trucks. Two cars of regular design went to the Alberta & Great Waterways in Canada. Others may have been exported to Cuba, Mexico and Spain. The following is a list of roads using McKeen cars, compiled from a number of sources including the 1912 catalog. The number in parentheses represents the number of McKeen cars used, if known. Victorian Rys. (2) ; Rock Island (5); Arizona Eastern; Maricopa & Phoenix; Southern Pacific (19 in 1923-Santa Fe sold them to UP) ; Los Angeles & San Diego Beach; San Pedro, Los Angeles & Salt Lake; San Diego & Guyamaca; Denver, Laramie & Northwestern (2 sold to Great Western sugar road in Colorado, later sold to UP) ; Union Pacific (21 by 1923) ; Oregon Short Line; Woodstock & Sycamore Traction Co.; Illinois Central (1 , No. 111) ; Chicago Great Western (5); Charles City Western; St. Joseph & Grand Island; Southern; Ferrocarril del Sonora; Ann Arbor (5) ; Chicago & Northwestern (1) ; Central Pacific; Silver Peak RR. (in Nevada, sold to Redwood Lumber Co. in Calif.); Virginia & Truckee (1) ; Buffalo, Rochester & Pittsburgh; Erie; Jamestown, Chataqua & Lake Erie; PRR; Norfolk Southern; Sand Springs Interurban; OWR&NCo. ; Salem, Falls City & Western; Weatherford, Mineral Wells & Northwestern (2) ; Northern Pacific; Bellingham Bay & British Columbia (left the works with a sign: “Follow me to the red apple country”) ; Bessemer & Lake Erie; Montana, Wyoming & Southern; Soo; Galveston, Harrisburg & San Antonio; Central New York Southern (2); Morgan’s Louisiana & Texas (Sunset Central) ; Arkansas Northwestern (may have been bought from Woodstock & Sycamore); Motley County; Alberta & Great Waterways; U. S. Gvt. (Yuma Valley RR); Lakeside & Marblehead. How many McKeen locomotives were built? At least one, maybe as many as six. The one definite McKeen locomotive was publicized in the trade journals for 1915. It was sold to (I’m steering clear of the term built for) the Motley County RR down in Texas which ran from the county seat, Matador, Out of Roaring Springs junction on the Quanah, Acma & Pacific. This 0-4-2 gasoline locomotive with outside connected drivers was, according to one account, delivered under its own power. An old employee tells of another McKeen locomotive working around the Omaha shops as early as 1913. I have heard of another tried out in the UP’s Aspen Tunnel. Another rail man who wandered into the McKeen shops in December of 1917 tells that there was a gas locomotive in storage there in a shed. My studied guess is that these were all the same engine; built as an experiment, finally sold to Motley County, returned for mechanical or financial reasons and eventually given up. The only other McKeen locomotive I have definite knowledge of was built by the Charles City Western, in Iowa, around a McKeen power truck. They simply built a chicken-house-like wooden enclosure over the 0-2-2 drive truck and had a locomotive. They also “improved” the truck by driving the smaller rear wheels with another Morse silent chain. When the buggy was back in Omaha for repairs McKeen replaced the clutch with his own octaroon clutch (so called because the sliding member moved on an octagonal portion of the driving axle). The McKeen “Mallet” car ordered by the Southern Utah Ry. was one of the last cars built, late in 1916, It had a 6 wheel front truck, seemingly identical with the drive of the Motley County locomotive. It was meant for the heavy grades on the Southern Utah between Price and Hiawatha. However, the Southern Utah was supplanted by the present Utah Ry. on better grades from Hiawatha to Helper on the D&RGW, so coal traffic was diverted to the newer road, leaving the McKeen car for the only service on the Southern Utah. As early as 1928 the Mallet was stored in a shed at Hiawatha, according to C. E. Beveridge, division engineer of the Utah Ry. In 1935 changes necessitated the removal of the car barn , so the coach was taken to another track where it stood in the open until 1939. At that time the track was needed for other purposes so the motor coach was donated to the Utah Ry., which took it to Helper where the chassis was scrapped. The body was placed on the ground near the Utah Ry. engine house where it now is used as a shop for the general electrician and as a locker room for car repairmen and inspectors. “The car body is all steel and will probably serve its present purpose for many years,” says Beveridge. Did no railfan with a camera ever photograph this historic car while it stood in the open for four years at Hiawatha, Utah? Similarly, the Virginia & Truckee No. 22 is now spending its last days- minus trucks but with pilot, headlight, drawbars, etc. as a roadside diner. During the first World War, when materials were scarce, the shops made captive balloon windlasses for the army. After the war, the shop machinery was used by the UP to make shaped material and store orders. The building is now razed and doubtless most of the priceless treasure in the attic has been burned. In 1920 the Union Pacific bought out Mr. McKeen’s interest for a reputed $138,000. In 1922 McKeen moved to Southern California where he built himself an earthquake-proof house of distinctive design and settled down to work a 10-acre avocado ranch. He was always ready to talk railroading and motor cars to any intelligent listener, as some members of the defunct Channel Model Railroad Club will recall. He did not engage in railroad activity after retirement. He died after a long illness October 19, 1946. It would seem, too, that there was not the demand for the cars. Times were not so tough that a railroad could not run a trusty steam engine and a few cars over a branch and still make money. Motor cars-gasoline, steam and gas-electric for railroad service were essentially answers to the inroads of the electric lines which by the mid ‘teens had already begun to feel inroads themselves – of jitneys, buses and private automobiles. Railroad men were either steam or electric, and a gasoline car, being neither fish nor fowl, met coolness and opposition. The cars, too, were unreliable, or at least cantankerous. Trained motormen as well as those on roads where the day’s pay depended on making a run in a McKeen soon learned to keep the “turtle cars” in service, come what might-except snow. Old steam men who switched to gas running with the option of using a steam locomotive when the gasoline failed, favored the coal-burner in every possible way. This helped give the gas cars a bad name. The lack of perfection of the automobile engine during the early part of this century should be considered: get out and get under was the order of the day. How much more difficult was it, therefore, to design and build a gasoline engine of much greater power, one that would compete in reliability with the steam locomotive which had been proved by 100 years of service. The clutch is usually mentioned as one big weak point. No clutch was designed, they say, that would take the two or three hundred hp. developed by the McKeen motors. If they would hold the drive, they were too harsh in engagement. P. F. Bischeld, who motored the cars and was a company trouble-shooter, says that the clutches were all right as long as the motorman didn’t try to pull ten freight cars, or even one freight car. The clutch might then shear off toggle bolts which would drop down in the casing and jam the works until fished out with a bent wire. A gasoline engine has one most efficient speed, but McKeen engines had to vary their speeds. Gas-electric drives, and now Diesel-electric drives, can run their engines at one efficient speed while the speed of the electric traction motors can be varied with series, parallel and resistances, as on a trolley car. A very few McKeen cars are still in service. The UP has a few modernized to gas-electric drive. Of these I can name only the M16 (not the original M16); and the M21. The Chicago Western has three, also gas-electric rebuilds. No. 1000 is an all mail and baggage motor car, now serving, as a switcher at Winona, Minn. Formerly, this motor was combined with trailers No. 1001 and No. 1002, which were rebuilt from motor cars into a name train, the Blue Bird, between Minneapolis St. Paul and Rochester, Minn. One trailer was a coach while the other was a diner-lounge-sleeper, all in one. The two trailers and the motor originally had round windows which were changed to the square with rounded transom type some years previously because the hinged round ones had the bad tendency to clunk down on passengers’ heads when inexpertly secured. The trailers are now serving as yard offices, but No. 1000 recently went through the shops and lost just about every McKeen characteristic she ever had. The front is square and the depressed center door is gone. CGW’s McKeen cars No. 1003 and 1004 with round windows have been running out of Oelwein, la., but are expected to be junked when their run is taken off. Another McKeen name train was the Capitol Cities Streamliner operated by the Union Pacific between Lincoln, Nebr. and Manhattan, Kans. This was the all mail-baggage McKeen M23, with gas-electric drive and trailer, painted in streamliner colors. Probably the only McKeen still in existence with original gasoline drive which won’t work is old Lakeside & Marblehead No. 5, which at last reports was resting in Weir Bros. junk yard in Sandusky, Ohio. Railroad Historical Museums which might like to have this car should know that it took several years to get permission to pull the car over an NYC drawbridge into Sandusky-it was judged in too decrepit a condition for safe transport. The Rock Island rebuilt five McKeen cars to gas-electric drive with five feet cut off the prow. One car was burned in a round-house and the others were junked in 1938-39. Tracing the history of various McKeen cars is made difficult by two factors, one of which is the usual transfer of ownership between two lines, neither of which is in existence any more. The Sand Springs Interurban, though, sold their cars to the Midland Valley. But what happened to Pennsylvania No. 4701, a McKeen car pictured in Alexander’s book on that road? Many UP and SP cars, when they had outlived their usefulness as motor cars, were converted into passenger trailers. But what of the Erie’s McKeen car? The second factor that makes tracing McKeen cars difficult was the company publicity department. As soon as the ink was dry on an order, a demon retoucher would take a postcard size view of a standard 70-foot car and dub in the name of the ordering road in large white letters. Many times the car ordered and delivered (if delivered) was quite different in regard to passenger-baggage division, length, type of prow, type of windows and so on. Pictures of Soo Line “Motor Car No. 1” have been disclaimed by the Soo mechanical department. Compare the photos of Ann Arbor No. 5 as shown in the 1912 catalog and as it actually appeared. Note the different style windows. Tracing is made a little easier by the relatively small number of cars built: P. F. Bischeld gives the number as “around 157.” Of these at least 50 are accounted for by the Harriman lines-UP and SP and subsidiaries. W. R. McKeen Jr., the man who developed the cars which bear his name, was a man of amazing genius, holding over 2000 railroad patents. He was educated at Rose Polytechnic in Terre Haute, Ind., Johns Hopkins and Berlin Universities. Since his father and grandfather owned the Vandalia, it was not strange that W. R. entered railroad service in 1891, first as special apprentice at the Columbus shops of the PCC&StL. He held several shop positions on the Terre Haute & Indianapolis (Vandalia) before moving over to the Union Pacific, where his uncle was a high official. There he held several positions in the mechanical department before climbing to the mouth-filling job of superintendent of motive power and machinery. His brother, Benjamin McKeen, stuck with the Terre Haute & Indianapolis, the Vandalia, PRR lines West, and finally became one of the vice presidents of the Pennsylvania. McKeen was called a particular man to work for by Bischeld, who was associated with him for many years. He was so sold on the superiority of his motor cars that if a workman would offer a suggestion for improving them he would just whistle, blow Turkish cigarette smoke through his full beard and walk away, usually not giving an answer. I like to think that William Riley McKeen, Hoosier born, was related to James Whitcomb Riley, the Hoosier poet. For his motor cars at their best had a poetic quality in their lines unequalled by any other development of railroading but William Mason’s 4-4-0s. The story of the McKeen Motor Car as I have recounted it is far from complete. During twelve years of research, I have come to realize that the more I know, the more I know that I don’t know. Many questions have been left unanswered in this article, many photos or plans remain to be found, many rumors must be spiked down. Acknowledgment is certainly due the Union Pacific, Rock Island and CGW public relations departments, to P. F. Bischeld, to Floyd Schultz, to Mrs. W. R. McKeen, to Elizabeth 0. Cullen and to the many, many others who have helped by contributing a fact or two here and there which when added together helped make the story nearly complete.